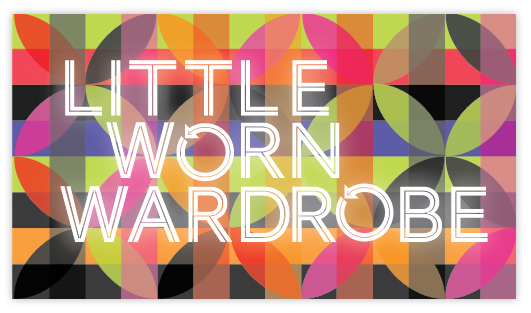 Little Worn Wardrobe is a place where your vintage clothing and accessories can be sold or traded directly for items in our store. We seek to provide a culture of exchange and trade where you can find a place to pass on those little gems that you don't wear any more, but are too good to just throw away! In contrast to today's world of cheap disposable products Little Worn Wardrobe offers the principles of eco & ego friendly recycling that we all love. Get some new gear, feel good about your impact on the environment and hip pocket. Renew, revamp and restyle whilst enjoying the quality of garments of the past and not hurting the piggy bank. Bring in your former favorites to sell on consignment or trade to earn credit for the new stuff. I hand pick the best items that can be resold. I try to assemble a unique and eclectic collection of vintage threads and items by picking out the cream of the crop from from donations and markets. I stock vintage & current labels as long as they are consistent with the feel of the shop, and just generally cute or unique items. If you want to donate clothing or other items, I will price them on the spot and offer you the option of finding something instore to take home with you for 50% of the value of the retail price on your items. Or alternatively you may decide to place the items on consignment where you receive 50% of the retail price in cash once your items sell. Our ever-changing inventory includes Men's and Ladie's vintage, 50's to 70's styles, great 80's and 90's getup, designer labels, vintage and designer corporate wear, jeans, leather, current basics and unique items. Recently I have been photographing items and putting them on our facebook page so we can sell online. My partner in crime also provides an A grade selection of classic and great books along with vinyl records, art and soon to be released boutique clothing & accessories. If this makes it easier for you, shop on our facebook page, type in SOLD under the photograph of the item that you like and I will organise delivery for you. It's like an online op-shop! My love affair with vintage stems from the quality of the items which is often so much better than alot of the stuff you can find today. I adore the creativity and uniqueness that can be found in older items and it is great to express yourself through wearing something that just feels like you! If you shop at Little Worn, you're definitely not going to see someone else walking down the street wearing the same getup! I think my heart is stuck in the past when things were a little more simple and I try to bring that to the store. My basic principle is to provide a vintage store in the city that keeps prices very reasonable and quality stock in constant supply. There is an evolving community based vibe to the store with the goals for 'Spoken Word,' a poetry sensation run by emerging artist M.C Born to be a.k.a Sarah Connor. We are also proud to give local up and coming visual artists and designers or arts students alike the opportunity to exhibit their works of art without the overbearing costs found in gallery spaces. Hanging your art in our space also gives artists the opportunity to sell & expose their work and we are happy to talk about arranging exhibitions for you. Acoustic nights are on offer, where you can come here to find sensational local artists sharing their skills and souls. In the works there is the opportunities for the Vegetarian's and Vegan's of Adelaide to come in for food swaps, sharing of skills and recipes tips and tricks. but doesn't stop at vintage offering a range of other quality items..... at the loved sale racks you can pick up a golden summer dress for under ten dollars, or get a three for ten bargain!